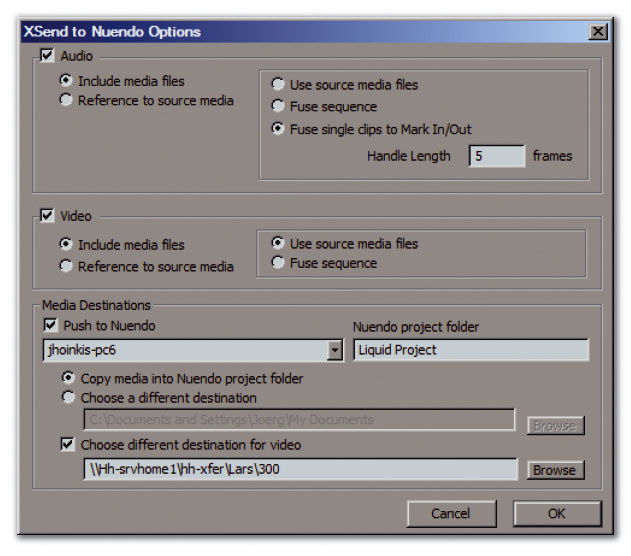 Nuendo 3 in all its splendour, showing an imported OMF file from Avid Xpress Pro, the new, resizable Quicktime Video Playback window, and a slightly more polished, professional-looking user interface. Although it includes all the features of Steinberg's Cubase SX3 MIDI + Audio sequencer, Nuendo is targeted at the post-production market. To this end, the new version 3 includes features such as AAF import/export and integration with video editing systems. It's been nearly two years since we reviewed Nuendo 2, Steinberg's last major version of what the company describe as their Media Production System, and it's been interesting to watch the developments to both Steinberg and Nuendo over this time. Nuendo 2 was released in the months following Pinnacle's acquisition of Steinberg, while Nuendo 3 's release came just as Pinnacle sold Steinberg to Yamaha. And just when I started to write this review, a further interesting development happened when Avid announced their intention to acquire Pinnacle. It's perhaps a shame that Pinnacle didn't make more of Steinberg in terms of integrating the two company's products, although there are at least signs in version 3 of Nuendo that illustrate the cooperation that did exist, as we'll see in this review. As a video company, Pinnacle had their greatest success in the broadcast market, and since Avid wanted a greater presence in this sector, the acquisition makes perfect sense. Sound On Sound readers might be more familiar with Avid as the parent company of Digidesign, and given how large a presence both these companies have in the post-production market, Yamaha, as the new owners of Steinberg, still face a struggle to build up Nuendo 's share of this market. There are basically two important facts to consider when evaluating Nuendo 3: first, that it contains every feature found in Cubase SX3 for content creation; and second, although Steinberg haven't always succeeded in distinguishing Nuendo from Cubase as a true post-production tool, Nuendo 3 is finally being pushed with an appropriate feature set in a way that makes it more appealing for that market. In fact, even since releasing Nuendo 3.0, Steinberg have gone further still. As I was finishing this review, Nuendo 3.1 was in the late beta stages; and while it would be inappropriate to review beta software, I have tried to incorporate information about this new version where appropriate as the changes significantly affect many of my original comments concerning version 3.0. With so many digital audio workstations on the market these days, each with its own proprietary file format, interoperability between different systems has become increasingly important. Avid originally set out to solve this problem with the OMF (Open Media Framework) Interchange format (sometimes referred to as OMFI) in the mid-'90s, and while this format has been widely adopted, with Avid publishing a developer kit for third parties, it wasn't an open standard, because Avid were the sole company in charge of OMF development. In the long term, this arguably impeded the success of OMF beyond Avid products and it became clear that another, more open solution was needed. Nuendo now supports both the importing and exporting of AAF files. Here you can see the options available when exporting a Nuendo Project as an AAF file — similar options are also now available with exporting OMF files. AAF (Advanced Authoring Format) was devised by a group of companies including Avid, Microsoft and the BBC as a file format designed to aid the workflow of users who need to transfer both data and metadata between different systems. Like OMF, AAF can either embed or link to audio and video files, and stores information about how those files are used in a project, as well as other project data such as start times, frame rates, automation and much more. For more information about the format, visit the AAF Association's web site at www.aafassociation.com. Given the dominance of Pro Tools in the world of audio workstations, I was especially curious to see if I could export an AAF file from Pro Tools and import it into Nuendo. Initially, using Nuendo 3.0, I didn't have much luck. I created some simple test files in Pro Tools 6.9 containing eight mono audio tracks and a few short audio files recorded on tracks one, two and eight, with the start time set to 02:00:00:00 and the frame rate to 24fps. When importing this into Nuendo I got an error message box reporting that Nuendo "Failed to read AAF tracks. [Err 801201D1]" followed by a completely empty Import Options window offering no tracks available for import. I repeated the test with both Pro Tools TDM and LE (even though there should be no difference, as both use the same Digitranslator tool for working with AAF and OMF files) and tried with both the Avid Compatibility toggle enabled and disabled in Pro Tools ' s export options, but there was no difference. Fortunately, though, after trying the same experiment in the beta version of 3.1, I'm pleased to say that the same AAF file I exported from Pro Tools will now import into Nuendo, with the audio files time-stamped to the correct locations. The AAF functionality in Nuendo 3.1 has been built with the 1.1 SDK (Software Development Kit) and, along with some other improvements, this means that AAF compatibility with Pro Tools 6.7 (and later) and Avid is now possible. Going the other way, when exporting an AAF file from Nuendo (both version 3.0 and 3.1) to Pro Tools, Pro Tools would read the AAF file and import the audio so long as I chose the linked media option in Pro Tools (Pro Tools doesn't support audio files embedded into the AAF file). The point of AAF isn't just limited to transferring data to and from Pro Tools, of course, and Steinberg's Nuendo forum at www.nuendo.com has plenty of examples where people are reporting successful transfers from video applications such as Apple's Final Cut Pro and Adobe's Premiere. While other audio workstations such as SADiE and Pyramix also include AAF support, I wasn't able to test this, although I did try exporting an AAF from Apple's Logic Pro 7.0.1 into Nuendo. The audio tracks imported successfully along with the frame rate and the basic start times of the Audio Events other than the offset from the start time. The start time of the Project was imported as 00:00:00:00 rather than 02:00:00:00 (although this could be a problem with Logic 's export), and the other clear problem was that the tracks were imported with read automation enabled, while automation was switched off on those tracks in Logic. As a side note, I tried importing my AAF files created in Pro Tools into Logic as a comparison, whereupon the Logic window disappeared and the Mac reported "The application Logic Pro has unexpectedly quit." At least Nuendo 3.0 was more graceful in the way it dealt with a file it couldn't read before 3.1's improved AAF functionality. Evaluating AAF support is somewhat tricky, because even if Nuendo 's implementation of AAF was completely flawless, you would still have problems if the application you were importing from or exporting to had a poor implementation. Therefore, it's impossible to know exactly where to point the finger of blame right now, especially as most applications have only just started offering AAF support. In conclusion, it's great that AAF support has been added to Nuendo, and Steinberg have done tremendous work already in improving this since the 3.0 release. However, I'd definitely advise prospective users to try experimenting with AAF transfers between the applications they need to communicate with before committing to Nuendo to avoid disappointment. Other than AAF, Steinberg have also improved the import and export features introduced in Nuendo 2 for AES31, OpenTL and OMF files, most notably with the ability to import and export specific tracks rather than simply every track. In Pro Tools, I exported the same Session I used to create an AAF file as an OMF file, and this imported into Nuendo with the audio tracks, Events, start time and frame rate correct. As a side note, it's worth mentioning here that the price of Nuendo 3 has now risen to an RRP of £1450, but consider that Pro Tools TDM and LE users must spend an extra £285 to purchase Digitranslator for full OMF and AAF support, while LE customers must pay £575 for DV Toolkit to have timecode in Pro Tools before they can buy the full version of Digitranslator. So all in all, £1450 for a full version of Nuendo 3 isn't that bad and I feel Steinberg are justified in increasing the price. "Why use an Icon when you can have the real thing?" asks Euphonix's advertising literature. 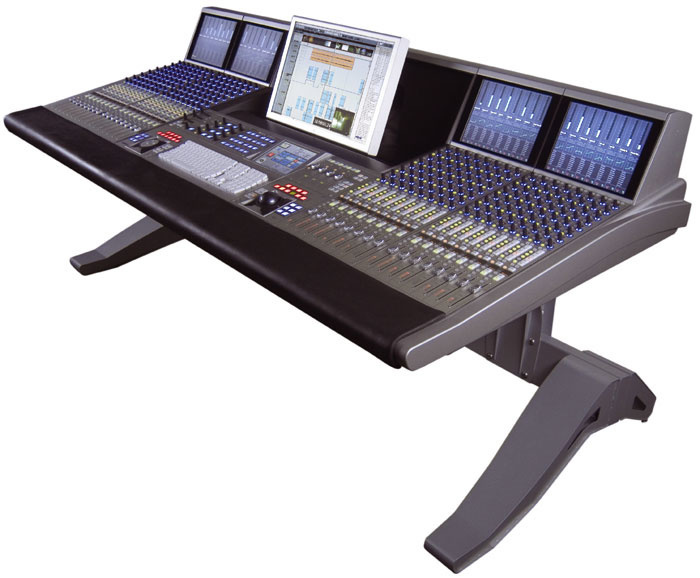 Certainly the company hope their high-end control surface offering, System 5 MC, paired with Nuendo will provide a competitive alternative to Digidesign's Pro Tools HD-based console workstations. Steinberg first announced a strategic alliance with Euphonix, a high-end, large-format console designer who have products popular in the post-production and broadcast markets, back at the 2002 AES show in Los Angeles. Euphonix's flagship digital console, System 5, is a highly modular system that combines DSP cores with a router, A-D/D-A and digital format converters, and a control surface. While MADI is used to distribute audio throughout the various parts of the console, a protocol called Eucon operates over Ethernet to send control messages, such as when a user moves a fader on the control surface. 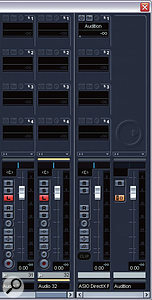 At the 2002 LA AES show, Steinberg and Euphonix showed a preliminary version of Nuendo 1.x that offered some support for Eucon with one of Euphonix's smaller Maxair consoles, although it's taken a while for this technology to be taken further, and in the mean time Steinberg collaborated with a German broadcast developer to create the ID controller, which has never really been a success. Following on from Nuendo 3 later this will be another release dubbed Nuendo Eucon, which will bring true Eucon support to Nuendo so that a Euphonix control surface can be used with Nuendo. Specifically, Euphonix are launching a product called MC, which is new control surface designed for use with desktop audio and video applications like Nuendo, featuring a keyboard, touchscreen, faders, programmable buttons, and a proper audio monitoring section. The monitoring section features an application called Studio Monitor Pro, where Euphonix came up with the idea to create a layer of software that sits in between the audio application, say Nuendo, and the ASIO (or WDM) driver that controls your audio hardware. Studio Monitor Pro then interacts with MC and is controllable from the MC's monitoring section and is set up via the MC's touchscreen. Euphonix have also announced the System 5 MC, which is basically a competitor to Digidesign's D-Control/Command-based systems like the Icon. The System 5 MC combines the MC itself with eight-fader modules that are almost identical to those used on Euphonix's System 5 console (hence the name) to create a truly professional control surface with a large-format console feel for Nuendo users. Whether or not the Nuendo customer base is ready to embrace such a product remains to be seen, but it's good to see development towards high-end customers using the Nuendo platform. We'll bring you more coverage of Nuendo and System 5 MC later in the year. As mentioned at the start of this review, Nuendo 3 includes a large number of new features and improvements for those working in film post-production, and perhaps the headline feature in this area is called 'Warp to Picture'. Like many features in Nuendo 3, Warp to Picture is actually incredibly simple, and incredibly useful. Cubase SX2 and Nuendo 2.1 introduced the Time Warp tool, which allows you to drag a musical beat or bar to a timecode position, while Cubase SX3 and Nuendo 3 offer the Warp Samples tool, which enables you to pick a point in time in an Audio Event, drag that point elsewhere in the time line and have SX/Nuendo automatically (non-destructively in real time) time-stretch the audio so that the point in the Audio Event now plays correctly to its new position. Nuendo 's Edit Mode enables the picture to follow the edits you make; moving an object on the Project window, for example, makes the picture track the start position to which you're moving the object, allowing you to easily move an object to start at a specific frame of action. Warp to Picture basically means that when Edit Mode is enabled, dragging with either the Time Warp or Warp Samples tool will cause the picture to track the position as you're dragging the mouse, enabling you to effectively 'warp to picture'. This is pretty useful since it allows you to see exactly where you're dragging bar 14, for example. Nuendo supports Pinnacle's X-Send Protocol to make it easy to work on projects started in one of Pinnacle's Liquid video editing systems. The video playback features have been significantly improved in Nuendo 3, and a new Direct X video playback engine has been added alongside the older Direct Show engine and the standard Quicktime engine, which has also been improved in version 3. The Direct X and Quicktime engines no longer feature the three size options for the built-in Video Player window, since this window can now simply be resized like any other window, with Nuendo scaling the video accordingly. These two engines also feature a new option for Video Playback Speed where you can select one of three speeds for the video playback: Normal Speed, for regular playback, and 0.1 percent pull-up and pull-down. These latter options are to compensate for the speed change that would have occurred in the video during the process of transferring the film to video (telecine) or back again compared to the audio, and are very welcome additions to Nuendo. Originally, my conclusion about these new video playback speed option was that "hopefully the next version will include 4 percent pull-up and pull-down, along with the option to change the audio speed as well as the video speed". So I was really pleased to see that while the video playback speeds don't offer 4 percent pull-up and pull-down in the 3.1 beta (although this could change in the release version), Steinberg have added both 0.1 and 4 percent pull-up and pull-down options to the Project Setup window, which affects the audio playback speed when you need to match the playback speed of the video you've been provided. While Steinberg are no longer owned by Pinnacle, Nuendo 3 was developed during Pinnacle's ownership, and clearly shows areas where collaboration took place between the two companies. Nuendo now support video playback through two of Pinnacle's video cards via its Quicktime engine: Targa 3000 for Windows users and Cinewave for Mac users. If you want to use a non-Pinnacle video card, Nuendo 3 also offers support for the full range of Decklink cards from Blackmagic (www.blackmagic-design.net), also via Quicktime. Another Pinnacle-related feature is Nuendo 3 's support of Pinnacle's X Send Protocol (which is also supported in Steinberg's Wavelab 5) for better integration with the company's Liquid video editing applications. In Liquid you can select X Send to / Nuendo and export one video track and up to 16 audio tracks into Nuendo (via the Import / X Send command) for further fine-tuning of the soundtrack. Nuendo 3 also offers support for Gallery's ADR Studio (www.gallery.co.uk), a software application that makes carrying out ADR (Additional Dialogue Recording) sessions much easier. ADR Studio has been used with Pro Tools for many years for films including Lord Of The Rings and the recent Star Wars trilogy, but is now Nuendo-compatible as well, with ADR Studio running on a separate computer and connecting to your Nuendo system via MIDI ports. In Nuendo 's Device Setup window you can add Gallery Software ADR Studio as a new Device, configure the MIDI In and Out ports accordingly, and assign Nuendo commands to ADR Studio's Audition and Window/Alt buttons. ADR Studio basically controls Nuendo, turning it into a glorified tape machine in many ways, and remotely takes care of recording, in and out times, track naming, and general management. According to Steinberg, this is the type of integration we can expect to see develop further in Nuendo in the future. Among the smaller improvements for those working with picture, Nuendo now supports a 24-hour timeline and will quiz you if you change the start time of a Project, much as Pro Tools does: "You have modified the timecode offset. Do you want to keep the project content at its timecode positions?" Clicking Yes here will keep the start times the same in terms of timecode (but not bars and beats), while clicking No changes the start times for timecode, but keeps the bars and beats intact. There are also two neat commands to add a one-frame fade-in and -out to selected Audio Events, and improvements to 9-pin sync behaviour. Since version 2, Steinberg have made it made it possible for users to customise Nuendo quite extensively, and in version 3 the appearance customisation features in particular have been extended to give you more control over the aesthetic of Nuendo. While Nuendo 2 introduced the idea of appearance 'themes' to adjust the colour scheme of the user interface, version 3 replaces this with a new set of sliders in the Preferences window where you can adjust the saturation, contrast and brightness of the interface and see how this will look in a real-time preview area. Although you can't stray too far from Nuendo 's now very blue/grey stylings, many people will appreciate the ability to lighten or darken the appearance depending on the monitor they're using and the lighting conditions of the environment in which they're working. Another colour-related enhancement is the ability to customise the start and end colours of the level meters in another new page found in the Preferences window — a feature that's also made its way into version 3.02 of Cubase SX. I'm not sure if this is particularly useful or not, but if you happen to hold a grudge with the colour of Nuendo 's meters (and I know a number of people who disliked the orange used in version 2!) at least it's now possible to adjust this according to taste. While on the subject of colour, Nuendo 3 of course incorporates the new colour-related features of Cubase SX3, where colours assigned to Tracks can be displayed in the Track List on the Project window and on the corresponding channels of the Mixer window, in a space just below the Channel Strip. However, unlike SX3, where a Track's colour is indicated on the right of the Track List as a background for the level meter, in Nuendo 3 (as in Logic and Pro Tools) the colour is indicated to the left of the Track List. Existing users will remember that normally this space is used to show a colour that indicates the type of track used, whether it's audio, MIDI, and so on, and this is still the case when Show Track Colours is disabled. Once this option is enabled, however, the space to the right of the Track List now shows the colour for that track instead. As with SX 3.0, Nuendo 3.0 didn't offer some kind of default colouring option for tracks, although this has been remedied in 3.1. Both Nuendo and SX will now offer a Preference option for newly created tracks to have either the default colour (as before), the same colour as the previous track, the next colour in the list of colours after the previous track, the last applied colour, or a random colour. I think the user interface look for Nuendo 3 is the most appealing of all Cubase SX and Nuendo versions to date, and it's good that the interface has been refined in such a way this time that doesn't alter the way users of previous versions of the application have become used to working. The organisation of audio files has been improved in Nuendo 3 and you can now add user-definable attributes to files, which can store data in one of three formats: as text, a number, or a check mark. As an example, you might want to add a Department attribute to specify whether an Audio File is Music, FX or Dialogue so that you can sort media in the Pool window or search for media by department, which is rather useful. One small problem, though, is that these user-definable attributes aren't saved with the audio file, meaning the attributes are only relevant for the files in the Project in which they're used. However, there is a workaround. Using Nuendo 's Library function, which allows stand-alone Pools to be created, loaded and saved independently of a Project — you can't save a Project's Pool as a Library — you could add user-definable attributes to the Library and use this as your master Pool to make the attributes given to files accessible in all Projects. The only other thing that would be nice with regard to user-definable attributes is the ability to use presets in the window in which they're defined, rather than just being able to store and recall a single default set. Since most other areas of Nuendo now offer presets, it's surprising to find one window that doesn't offer this feature. One of the most useful features in Nuendo 3 is the Rename Objects window. Although it might seem fairly uninteresting on the surface, this simple addition has the potential to save hours of work over the course of a project. Rename Objects (Edit / Rename) allows you rename either a collection of multiple Parts and Events or multiple tracks in a single pass, based on a common naming scheme. One common example of where this can be useful with audio files is where you have tracks named after instruments and so you end up with a collection of files called 'Cimbasso_01', 'Spoons_01', and so on. If you're working on a film, you might want to name these files with the name of the cue — '6m44', for example — at the start, followed by the instrument name from the track and the version number. With Rename Objects you can now rename the files to be '6m44 Cimbasso v1', '6m44 Spoons v1' and so on, in a single operation, which is a real blessing when you might have 50 cues, each with 50 audio tracks. To use Rename Objects, select the objects you want to rename and select Edit / Rename. If no Events or Parts are selected, the selected Tracks will be renamed; otherwise the selected Events or Parts will be renamed. One thing I initially found confusing about Rename Objects is that when you rename Events on the Project window, it's the Description flag of the Event that gets renamed; the name of Event — which is to say the filename — isn't affected by renaming process. However, it is possible to use the Rename Objects window to rename Audio Files: you just have to do this in the Pool rather than the Project window. The Rename Objects window allows you to batch rename tracks, Parts, Event Descriptions and file names based on certain conditions. Getting back to the germane issue, in the Rename Objects window you can choose eight different rename elements from top to bottom that affect the naming from left to right. 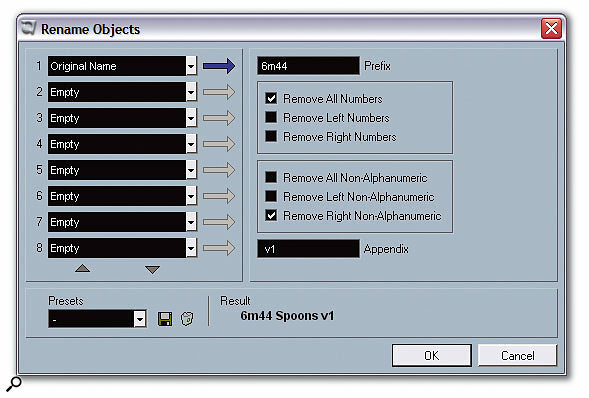 If you use Rename Objects from the Project window, each element can be one of five options: Free Text, literally a field of text added to the name; Original Name, which adds the original object name and can remove numbers or non-alphanumeric characters; Number, to add a number that increments or decrements within a specified range with each object named; Project Time, which adds the start time of the object in a user-specified time format; and Date, which adds the current date in a format of your choice. All the options except Free Text include both Prefix and Appendix fields to add text before or after the text generated by the relevant option. If you use Rename Objects from the Pool window, though, you get all the options you have in the Project window, plus attributes that concern information about the file, such as the file extension, bit depth, sample rate, and tempo (if musical mode is being used for real-time time-stretching). A nice touch is that you can also add any of the user-definable attributes you've created; so if you want to name all the files according to the Department they came from, to continue the example, this is also possible. In fact, it would be useful to have the User Attribute option available in the Project window as well. In the land of Pro Tools (or even Nuendo), engineers usually find ways of providing the Rename Objects functionality by using additional applications such as Quick Keys, which is somewhat inflexible and basically requires the user to create scripts to improve their workflow. Having this kind of feature built right into the application, no matter how boring and simple it might seem, is a clear sign than Steinberg are listening to users and implementing features to help make repetitive tasks less tedious, which surely is the point of using computers in the first place! As Nuendo relies completely on your computer's hardware, aside from any additional plug-ins you may have that use DSP accelerator cards, the performance you can expect from the system depends solely on your machine's specification. For Windows users Steinberg suggest a minimum of a 1.6GHz Pentium or Athlon processor, Windows XP Home or Professional (the latter is required for dual-processor systems), and MME or ASIO-compatible audio hardware, while Mac users should have at least a Power Mac with dual 1GHz G4 processors. All users should have at least 512MB RAM, a DVD-ROM drive (Nuendo now ships on a DVD), and a free USB port for the copy protection key. For best results, a 2GHz processor is recommended for Windows users and a dual-2GHz Power Mac G5 for Mac users, along with 1GB RAM, and a dual-display system with each display having at least 1152 x 864 pixels. While Steinberg don't specify a minimum display resolution, you would absolutely not want to consider using Nuendo on anything less than 1024 x 768, and even at this resolution, things get a little cramped as I found when using my ultra-portable IBM X40 Thinkpad. 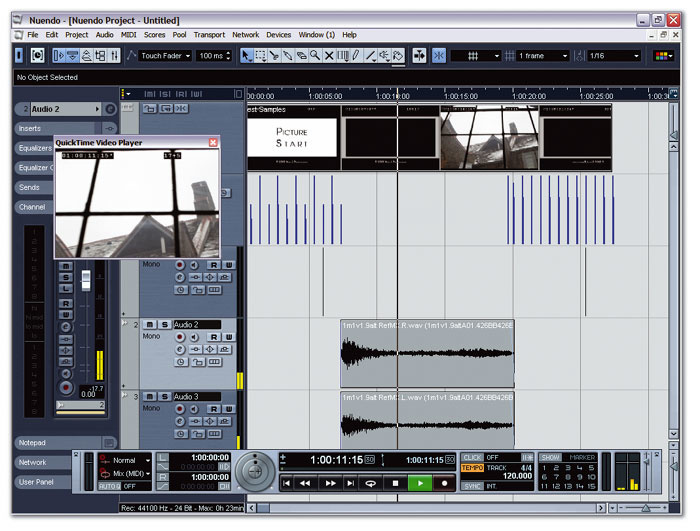 Nuendo 2 featured a brand new audio engine that brought with it the VST Connections window, a new, consolidated way of setting up Input, Output and Group channels. As in Cubase SX3, Nuendo 3 has two new tabs added to this window: External FX, for incorporating external outboard hardware units as if they were plug-ins into the VST mixer, and Studio, which currently features a single buss known as the Audition buss. As in SX3, the internal audio click in Nuendo is now routed automatically to the Audition buss, so you can choose to what physical output on your audio card the click will be sent. However, in Nuendo 3 there is one additional use for the Audition buss. 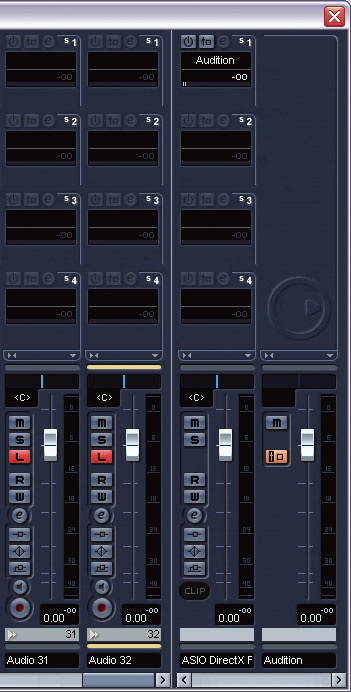 Each audio-based channel on the Mixer now features a Listen (L) button just below the conventional Mute and Solo buttons, which adds after- or pre-fader listening (AFL and PFL) functionality to Nuendo. There's a button on the Audition channel on the mixer (also, usefully, available as a Key Command) that, when active, selects AFL, and when not enabled sets PFL so that when Listen is enabled on a channel, that channel's audio is routed to the Audition channel (in addition to its standard Output buss) either before or after the fader has processed the audio on the given channel. It's worth pointing out as well that, although the Audition buss is stereo by default, you can right-click it and use the Change Bus command from the context menu to set it to a mono or multi-channel configuration. Here you can see Listen mode enabled on the two audio channels to the left: notice how the first send on the Default Output buss is routed to the Audition buss and how it's automatically disabled when any channels have Listen enabled.While the new AFL/PFL functionality in Nuendo is welcome, there are a couple of points worth mentioning. The implementation of the Listen mode so that it operates separately to the Solo mode is potentially useful, compared with other implementations of AFL/PFL that work instead of the standard solo-in-place (SIP) mode: for example, in Pro Tools 6.9 (or even on high-end consoles such as System 5 from Euphonix) the Solo button is itself configurable between SIP, AFL and PFL modes. However, one obvious disadvantage in creating a new button for AFL/PFL is that existing control surfaces don't have a Listen button, and there doesn't appear to be a way of setting a control surface's Solo button to be either Listen or Solo, which might be a simple way of solving this issue. Even in Nuendo itself, you can't even access the Listen function on the track in the Project window, as you can with other Mixer functions like Mute, Solo and Read and Write Automation. The only way to access the Listen function within the Project window is to select a track and open the Channel Section in the Inspector. The second issue to consider with AFL/PFL mode is what happens when you want to effectively mute all channels on the Mixer except those with Listen enabled. Nuendo achieves this by what the manual describes as a 'special relationship' with the Default buss. The Default buss is the Output buss to which, in general, newly created audio channels are assigned, and is indicated in the VST Connections window by an orange/red speaker next to the appropriate Output buss. You can make any Output buss the Default buss by right-clicking it and selecting Default Bus from the context menu. In order to for all channels except those with Listen enabled to be heard, Nuendo automatically sets up a 0dB send on the Default Output buss channel on the Mixer to the Audition buss, so the idea is that you always monitor through the Audition buss. This does, of course, make the Default Output buss somewhat redundant and means you have to have double the number of outputs available for monitoring: four for stereo, 12 for 5.1, and so on. When you enable Listen on a channel, that channel's audio is routed either AFL or PFL to the Audition buss (in addition to its Output buss), as we've already discussed; but to cut the rest of the mix, Nuendo disables the send on the Default Output buss channel so only the audio-based channels being routed directly to the Audition buss can be heard. While Steinberg advise against routing the Default Output and Audition busses to the same physical outputs, it is possible to do this in a way that doesn't give duplicate signals and allows you to use AFL/PFL in a way that mutes the channels not in Listen mode. If Nuendo detects that the Default Output and Audition busses are sent to the same physical outputs, the level on the send from the Default Output buss channel to the Audition buss is set at minus infinity rather than 0dB to avoid double-bussing. However, if you set this back to 0dB, enable the pre-fader button on that send and set the level fader of the Default Output buss channel to minus infinity, you will now hear only the output of the full mix being routed through the Audition buss. Since the send will still get disabled automatically by Nuendo when you enable Listen mode on a channel, you will now only hear the channels with Listen enabled through the Audition buss until you disable the Listen buttons again. And for this, the Mixer also has an extra Deactivate All Listen button, just like for Mute, Solo, and Read and Write Automation. If you think all of this sounds a little awkward, I'd agree with you. 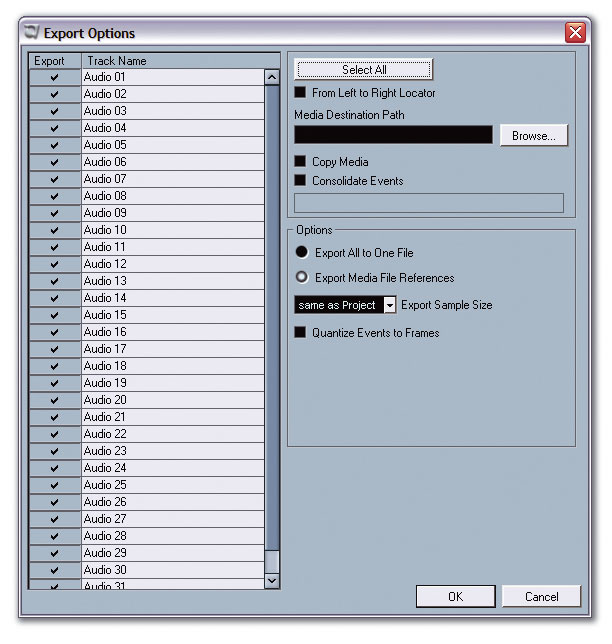 However, part of the problem here isn't actually Nuendo: if you look at the way Pro Tools 6.9 deals with AFL/PFL Solo without any extra hardware, it's a little bit easier than with Nuendo, but you still have to specify what outputs should become muted when channels are routed to the AFL/PFL channel. The extra hardware that would help this situation is an external monitoring box that could be controlled by Nuendo. Pro Tools 's AFL/PFL is designed for use with the D-Command and D-Control surfaces, which feature XMON, a hardware monitoring box that automatically mutes the main channels when AFL/PFL is active. Hopefully, products like the MC from Euphonix (see box) will be able to bring this elegance to Nuendo users as well. One additional issue with the Audition buss brings us back to the beginning of this section where I mentioned that, as in Cubase SX3, Nuendo 3 also sends the click to the Audition buss. This means it's impossible to not have the click on the same buss as your AFL/PFL solo, unless you disable the click. Having a separate click buss in the Studio page of the VST Connections window would be a better solution, and it would be great if Steinberg allowed the click channel to have auxiliary sends so it could be routed to multiple headphone mixes for those who use Nuendo for tracking in a recording studio context rather than for post-production. The workaround that solves both of these potential problems right now is to use a VST Instrument like LM7 for your metronome click instead. The fact the Default Output can use an auxiliary send to route audio to the Audition buss illustrates another important feature in Nuendo 3 — the ability for Output busses to route audio to other Output busses to the right of them via sends. So if you have four Output busses labelled one to four, left to right, output one can send to outputs two, three and four, while output three can only send to output four. Despite the limitation, being able to route outputs still has many uses, and could be especially useful for creating headphone mixes within Nuendo or sending mixes to multiple speaker configurations. Overall, though, Nuendo 's Mixer is still slightly less flexible than mixers found in competing digital audio workstations. For example, one feature I really miss in Nuendo is not being able route the outputs of Group channels as the Inputs of Audio channels, so you could bounce and create more complex mixers entirely in Nuendo. While not perfect, Pro Tools ' internal busses (which are in many ways the equivalent of Group channels in Nuendo) do allow this and it would be great to have this functionality. Nuendo 3 includes a new plug-in called Mix Convert to make it easy to downmix files, as shown here, to create a stereo mix from a 5.1 source. On the subject of output routing, a feature that would be nice to see is support for different layouts of surround output channels. Nuendo 3 's surround output mapping conforms to the standard (and most commonly used) SMPTE/ITU layout, which is L R C LFE Ls Rs. Other common layouts include L C R Ls Rs LFE and L R Ls Rs C LFE, and while it's possible to adjust the surround routing in Nuendo by just changing the physical output assignments around, the onus for knowing how to re-patch everything is placed on the user. An extra option to re-patch the surround channel layout when you right-click a buss in the VST Connections window would be welcome. One improvement to the Mixer in Nuendo 3 is the use of the Mix Convert plug-in, which is a newly included plug-in that can convert incoming audio in one speaker format to outgoing audio in a different format: you could use this as an insert on a stereo channel to downmix to mono, for example. Nuendo automatically uses the Mix Convert plug-in in situations where you have a 5.1 channel routed to a stereo output: double-clicking the panner automatically opens a Mix Convert plug-in editor — you don't see it instantiated as an insert on the Mixer. Mix Convert offers quite a number of controls, such as the ability to adjust the phase of individual speaker channels (except the front centre channel, of course! ), adjust the incoming gain and the level of the surrounds, centre channel and LFE that goes into the downmix. Mix Convert is actually really useful for creating downmixes, especially since this is far more complex in Pro Tools: audio channels can only be routed to outputs with the same speaker layout — you can't route a 5.1 channel to a stereo channel without creating sub-paths, and creating a downmix requires some creative routing if you don't use a plug-in such as Waves' M360° Surround Mixdown plug-in from the 360° Surround Tools bundle, which adds to the cost of the system. Another improvement in Nuendo 3 (also implemented in Cubase SX3) is the ability to quickly assign the Input and Output busses to audio channels. Holding down Alt/Option while selecting an Input or Output assigns all selected channels to that Input or Output, while holding Shift while selecting an Input or Output assigns Input or Output busses incrementally to the selected channels. Another real time-saver. Nuendo 3 is a significant step forward when compared with Nuendo 2, and without doubt the best overall release of Nuendo in the product's five-year history. In part, I think this is due to Steinberg finally embracing areas that really needed to be addressed to orientate Nuendo towards the post-production and high-end audio markets. And very publicly placing the company's Project Manager for Post-production, Martin Stahl, in LA with Euphonix to investigate the needs of the LA post-production market has clearly helped to build a better product. Nuendo isn't perfect, of course — there are still the odd bugs and issues that crop up — but overall, there are many improvements in Nuendo 3 and features that finally make it possible to consider the system more seriously in the context of film, media and high-end audio work. Nuendo 3 has many features and improvements targeted at post-production customers, including AAF import and export, pull-up and pull-down support for video playback, and better media management. Incorporates all of the new features found in Cubase SX3 for those working with MIDI in the same Project. Features such as Rename Objects offer time-saving workflow improvements. Mixer lacks a flexible bussing architecture. Nuendo 3 is a major update to Steinberg's Media Production System that combines all the functionality of Cubase SX3 with long-awaited new features and improvements specifically for the post-production market. £1449.99; upgrade from v2 £349.99; upgrade from v1 £499.99. Prices include VAT.